The British sports car. 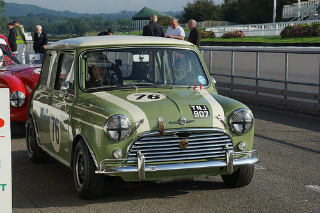 John Cooper, who built Formula One and rally cars, was well aware of the tuning potential of the A-Series engine used in the Mini. 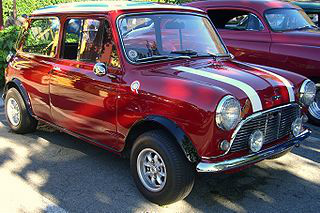 After extensive discussion and collaboration, the Austin and Morris Mini Cooper sports car made their appearance in 1961. 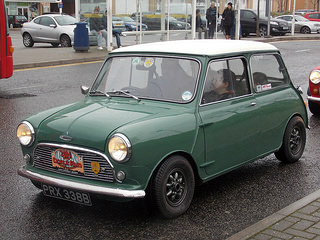 The Morris Mini used an 848 cc engine. However, with tuning, and and giving it a longer stroke, the capacity could be increased to 997 cc. Power would increase from 34 bhp to 55 bhp. 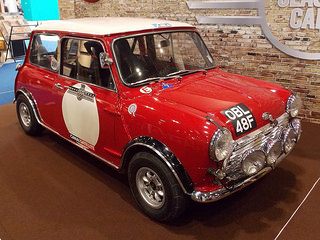 The Mark 1 Mini Cooper had two SU carburettors, a close ratio gearbox, and front wheel disc brakes. In 1964, the original 997 cc engine was replaced, in the Mark 2 Mini Cooper sports car, with one using a shorter stoke and a capacity of 998 cc. 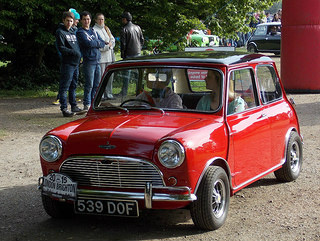 In 1992, the Rover Mini Cooper used a 1275 cc engine, with fuel injection replacing the SU's. Sales of the Mini Cooper were: 64,000 Mark 1 and 16,000 Mark 2. In 1963, more powerful versions of the basic Mini Cooper made their debut under the name of Austin and Morris. 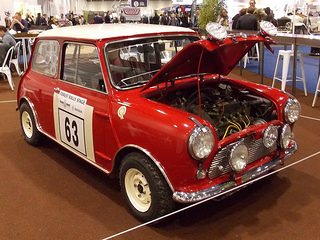 The first was the 1071 cc Mini Cooper S, with a modified crankshaft and stiffened main bearings, to allow for further tuning. 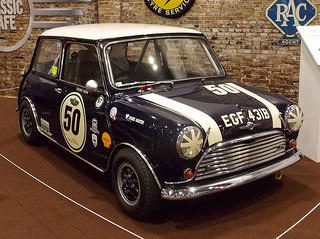 It had enlarged servo assisted disc brakes, and was designated the Mark 1 Mini Cooper S. It was built for only one year. 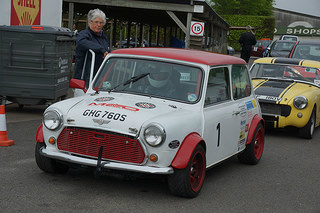 In 1964, the 970 cc Mini Cooper S was launched, designed for racing in the under 1000 cc class. On the other hand, in 1963, the 1275 cc Mini Cooper S was introduced, and was an immediate success, with continuous production until 1971. 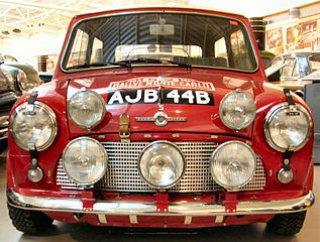 A Mini Cooper S sports car won the Monte Carlo Rally in 1964, 1965 and 1967. 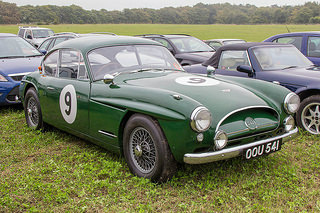 When production of the Austin Healey 3000 sports car ended in 1967, there were discussions between Donald Healey and the carmaker Jensen. 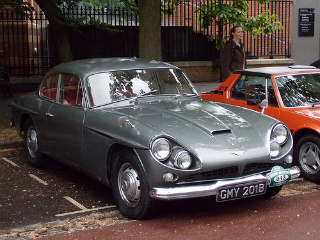 From the resultant collaboration was born the Jensen Healey sports car. 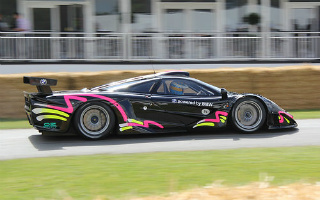 At the prototype stage, a number of engines were evaluated from Vauxhall, BMW and Ford. However, none were acceptable. Finally, Jensen approached Lotus who had a new, but untested engine which met the requirements. It was a 2-litre, twin overhead cam, 16 valve, aluminium unit called the Lotus 907. 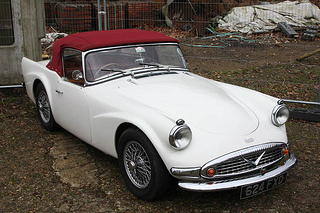 The result was offered as a two seater convertible or coupe, with front disc brakes and rear drums. It used coil springs at the front, and a rear live axle. 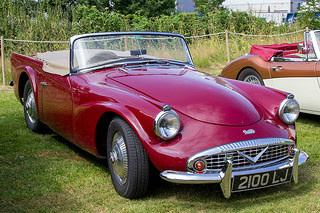 European export models had two, twin choke carburettors, whilst US models had a single Stromberg, for emission requirements. 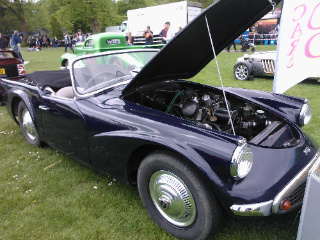 The Jensen Healey was popular in the US, but less so in the UK. A total of 3,777 were sold. 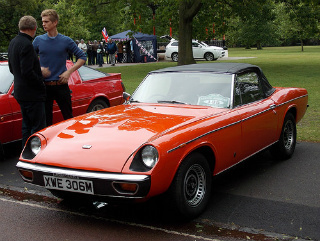 To offset financial difficulties, the Jensen Healey GT was introduced in 1975. It was a 2+2 coupe with a limited rear view. 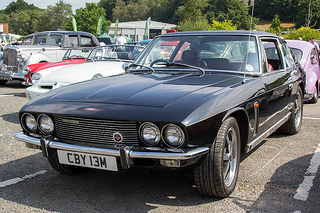 Jensen went into receivership in 1976. 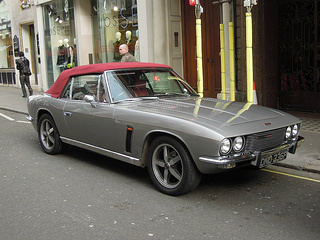 In 1966, the Jensen Interceptor sports car was launched. 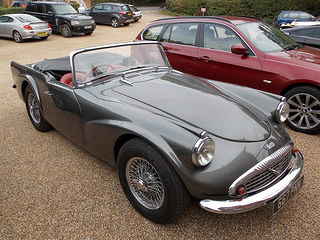 It was offered as a two door, four seat hatchback, convertible or coupe. 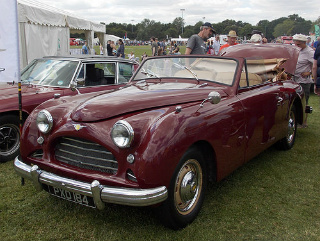 The Mark 1 version used a 6.3 litre (383 cu in) Chrysler V8 engine, developing 325 bhp. It had a distinctive, very large, wrap around rear window that also acted as a tailgate. 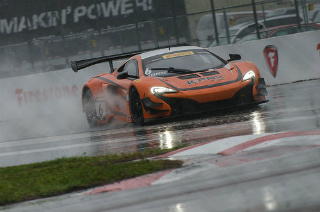 It had disc brakes on all wheels, independent front suspension, and rear leaf springs. In 1969, the Mark 2 was introduced with styling that was slightly revised. In 1971, a larger Chrysler 7.2 litre (440 cu in) V8 engine was used with three, twin choke carburettors, developing 330 bhp. 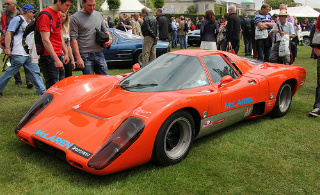 This version of fuel delivery was called the SP, and was also available on the 6.3 litre engine, developing 385 bhp. 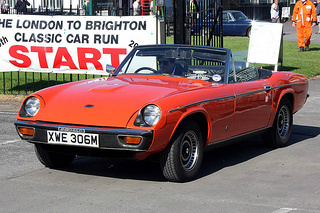 In 1972, the 7.2 litre engine now used a single 4-barrel carburettor. 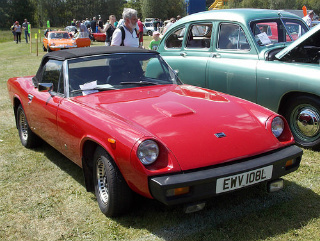 In 1973, the Mark 3 had further minor styling changes. 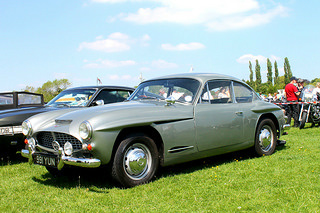 By the late 1950's, the luxury carmaker Daimler was in financial difficulties. As a result, the company decided to enter the US sports market with their own model. 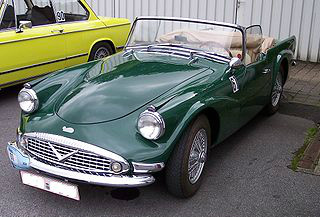 Hence, the Daimler Dart, later known as the Daimler SP250, was born. 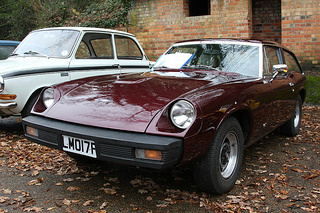 The "SP" referred to Sports, and the "250" to its 2.5 litre engine. Launched at the New York Auto Show in 1959, it was well received. 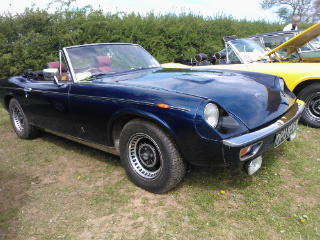 It was described as a 2+2 sports car, with a fibreglass body on a steel chassis. 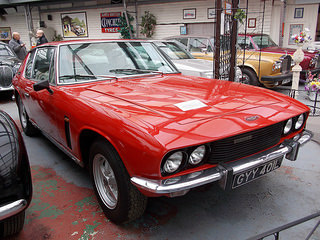 Its engine was an all new 2.5 litre, hemispheric combustion chambered, overhead valve, V8 unit, with two SU carburettors. The chassis in the original A-spec sports car had a tendency to flex on hard cornering, causing the doors to open. 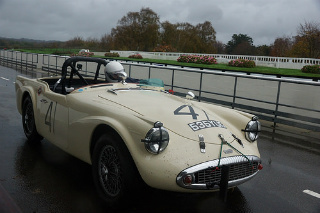 However, this was rectified in 1960 with the introduction of the B-spec car. 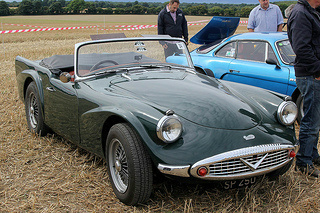 In 1963, the C-spec version appeared, with luxurious extras as standard. 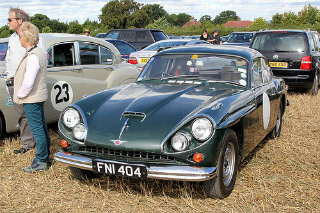 Daimler was acquired by jaguar in 1960 and, sadly, since the Daimler Dart had to compete with the E-Type, it wan't given the attention it deserved, which had an adverse affect on sales. 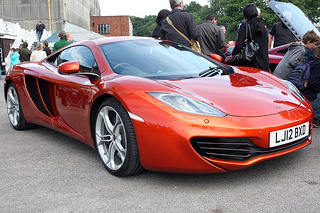 In 1988, a simple drawing of a three seater sports car formed the basis for creating the ultimate sports car. Hence was born the F1. 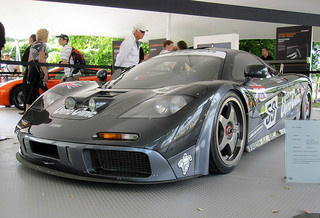 In 1992, the McLaren F1 was presented at The Sporting Club in Monaco. 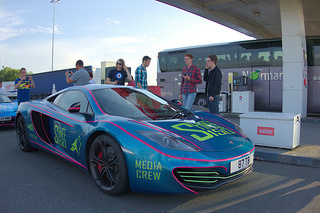 It used a glass fibre monocoque chassis. 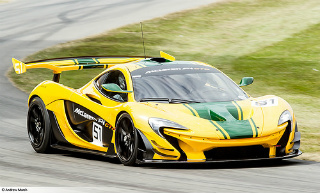 It was decided that the engine should be normally aspirated since turbochargers and superchargers added a degree of complexity which might affect the drivers' level of engine control . 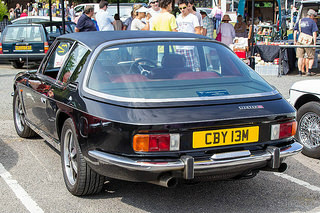 The final choice of engine was a BMW 6.1 litre, V12. 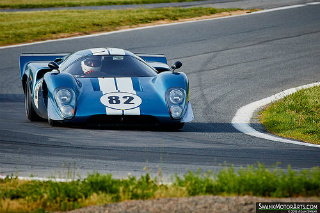 It used an aluminium block and cylinder head, four overhead camshafts, and variable valve timing. The road version had a compression ratio of 11.1. 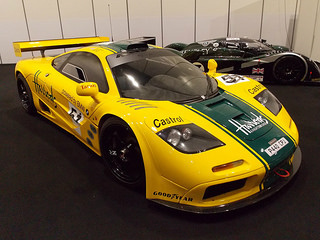 In 1998, the McLaren F1 was the world's fastest road car, reaching 231 mph, with its revs limited, and 243 mph when able to rev freely. 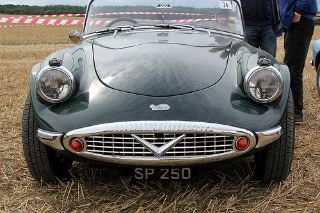 Got any stories about Your Favourite British Sports Car?